“Greed, for lack of a better word, is good”. If the immortal words of Wall Street’s Gordon Gekko are to be believed, then Vostok Inc. is bang on the money. Vostok Inc. pits you as a nameless, faceless, spacecraft-piloting individual in the depths of our solar system with only one purpose: making as much money as possible. Helped along by your trusty (although really annoyingly voiced) 80s influenced stockbroker, you will develop resources on nearby planets to boost your Moolah – and that isn’t me trying to sound cool, that is the official in-game currency. I felt I had to clarify that. 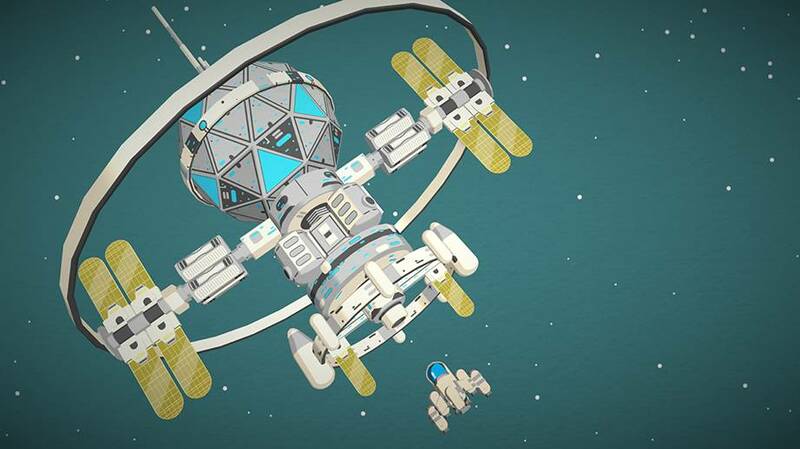 By setting up mines, power stations and the like on various planets, you’ll earn enough cash to upgrade your facilities and therefore earn more money to spend on further upgrades. You can also spend your not-so-hard-earned dosh on upgrades for your ship. You will want to do this as it quickly turns out, we’re not alone in the universe. What starts out as an innocent outer-space farming simulator quickly morphs into a twin-stick shooter of sorts. Upgrading your ship will help to navigate the nasties that continue to spawn in increasingly tougher guises. Of course, you can always turn and run. However, to do this you’ll need to upgrade your ship’s boosting skills. Doing so enables you to traverse the universe in a much faster way meaning you can set up more resources on more planets in a much more timely manner. On top of all this, while cruising the universe of Vostok Inc. your radar will happen on some tiny lost souls floating in the vast nothingness of space. Should you save these poor girls and guys in time they’ll reveal themselves to be managers or executives. Managers help increase productivity and boost your income. Executives do the same but are far more fickle and require the finer things in life to keep them happy. Saving an Executive opens up yet another aspect of Vostok Inc. in the shape of a Tamagotchi style mini-game. This requires you to provide your 80s executive with what they need to survive: fast-food and cocktails. If that wasn’t enough, each executive allows you to seamlessly jump into a 4-bit style mini-game individual to each executive. That’s mini-games within mini-games within an overarching game that transcends multiple genres for those of you keeping score. As you can tell, Vostok Inc. has a lot going on. While this almost becomes a ‘Jack of all trades’ scenario, Vostok Inc. manages to pull off each aspect well enough by providing instant gratification to the player. After only 10 minutes of play you will be nearing on your first million Moolah and making your ship more formidable. This feeling of constant progress inspires you to push on and on; if you set up just 10 more pharmacies on Mars then you’ll generate enough cash to finally upgrade your ship’s guns to take down that annoying enemy that’s been bothering you. But it’s never enough. Once you’re done with our galaxy, there’s even more out there to conquer. Graphically, Vostok Inc. benefits from keeping its visuals simple and cartoon-like. Being a fully 3D adventure wouldn’t make it any more or less immersive and would distract from the purpose of the game. There is an excellent use of lighting dynamics on show as the further you travel from the sun, the the darker the background becomes allowing the millions of stars to shine brighter. The game is drenched in a mesmerising synthwave soundtrack that helps merge the throwback 80s vibe with the fluidity of modern gaming. Unfortunately, the voicework is incredibly annoying with no way of turning it off without sacrificing the satisfying ‘pew-pews’ of your ships weapons. Each and every time your aid pops up to offer advice or another pop-culture laden quip (I loved the Crazy Taxi reference), you’re greeted with a high-pitched, nonsensical, garble of nonwords that gets very old very fast. You can turn him down as part of the sound effects in the audio options but again, this sacrifices the otherwise fine sound effects. All things considered, Vostok Inc. manages to keep all of its plates spinning well enough and works great in both quick bursts and extended sessions as well as having a gentle learning curve to welcome newcomers to the twin-stick shooter genre. However, it suffers from a lack of both style and substance that will prevent people picking it up and keeping those that do from coming back for more. They say money never sleeps, but it might be best to snooze on this one. Games are great and I like to tell everyone about them. A hopeful voice in the darkness of an angry internet. Sonic would beat Mario in a fight EVERY TIME!